Our Senior Pastor, Rev. 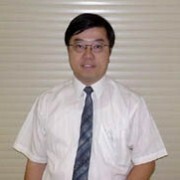 David Tse, was trained as a social worker in Hong Kong. He has also had extensive experience in youth evangelism and gospel radio broadcast. 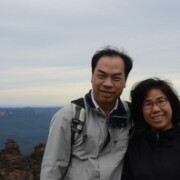 Before taking up the pastoral role in Central in 1996, he has pastored churches in Hong Kong, Sydney as well as Canberra. David obtained his Master of Divinity at China Graduate School of Theology in Hong Kong and has obtained his Doctor of Ministry in Spiritual Direction in 2016. He is married to Rebecca and has one daughter, Nathania. Rebecca is also a trained social worker. David is from Beijing, China. He graduated from the Communication University of China and worked as an engineer for Beijing TV Station. After he moved to Australia, he gained theological training at the Sydney Missionary and Bible College, where he met and married Janice. In 1996, David and Janice, and their daughter, Lydia, were sent as a missionary family to Hong Kong while David served as a senior producer and program host of Liangyou gospel radio station of the Far East Broadcasting Company. David was ordained as a minister of Baptist Association NSW and ACT in 2009. He is now looking after the Mandarin congregation of Central Baptist Church. He is also a voluntary Chairman of the Mandarin ministry of Sydney Chinese Christian Churches Association. Dr. Vicente B. Lustre Jr. (a.k.a. Doc John) is a trained Medical Doctor and has served as a Missionary Physician in the slums of Metro Manila in the Philippines from 1998-1999. He graduated from the University of Santo Tomas Faculty of Medicine and Surgery in Manila in 1996. He finished his Master of Arts in Missions (Urban Ministry) in 2000 and his Masters in Christian Education in 2001 at the Asian Theological Seminary in the Philippines. He has studied Master of Theological Studies at Whitley College in Melbourne. Doc John has more than 20 years of ministry experience in the Creative and Performing Arts Ministries and in Church based Youth and Young Adults Ministry in the Philippines and in Singapore. 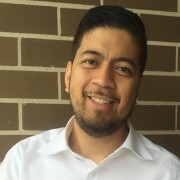 He has organized and has served as resource speaker in many youth camps and youth mission trips and has conducted numerous trainings and workshops in Creative, Performing Arts, Missions and Worship Ministries in Southeast Asia. He is married to Tess and has two lovely daughters: Ain and Zion. Rev. Daniel Sin was converted in 1990. Being moved by God’s grace and calling, he offered himself to be a full-time minister in 1993 and admitted to Evangel Seminary to study theology in 2000. He served in Jiduhui Church for three years after his graduation in 2004. Then he immigrated to Sydney in May 2008 and joined Central Baptist Church in October 2008. Rev. Daniel Sin and his wife Fanny have two boys, Andrew and Zion. Pastor Anthony Tam and his wife Amy have been attending the Central Baptist Church for 40 years. 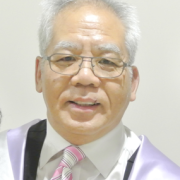 He previously served as a lay leader in the Cantonese and then Mandarin congregations for over 30 years before taking up theological studies at the Chinese Theological College of Australia a few years ago. He graduated with a Bachelor of Ministries in 2017. 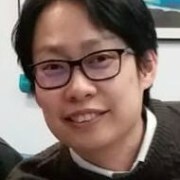 In January 2019 he joined the Central Baptist Pastoral team as a Pastor and is ministering mainly to the afternoon Cantonese congregation. Anthony likes to meet and chat to people, and enjoys sharing the gospel whenever he can.